Beaune is named after a small walled town in France which is famous for its wine making. 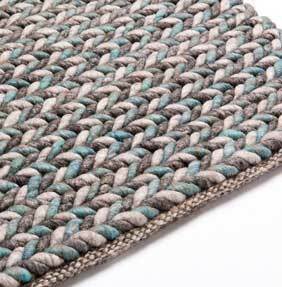 The inspiration in the naming of this range is down to the deep rope like pile which resembles the walls of the town, also the splashes of colour in each rug also represents the colours often seen in the grape fields. Beaune is handmade in India from a mixture of wool and viscose. The subtle and unusual use of colour creates a stylish and contemporary look to this deep pile felted range. Choose from 4 colour options and 3 standard sizes, bespoke sizes are available to order.